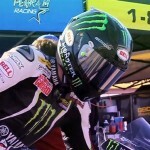 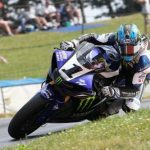 Bell Helmets and Transitions Optical have announced their company’s co-sponsorship of AMA Pro Road Racer Josh Herrin for the 2012 season. The protective ensemble puts the head of one of North America’s premiere racing talents inside one of the world’s most iconic helmet brands featuring the latest in advanced photochromic faceshield technology. 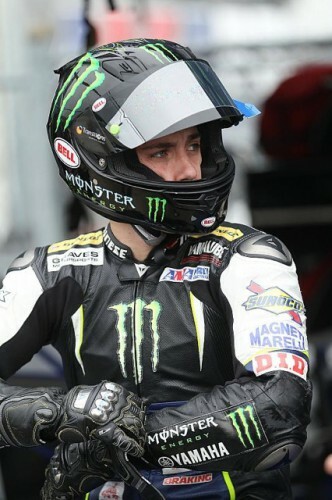 Herrin won the 2010 Daytona 200 wearing a Bell helmet with a Transitions faceshield. 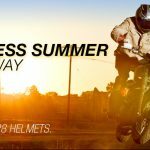 Transitions adaptive faceshields automatically self-adjust from clear at night and in low light conditions to dark gray in bright sunlight. 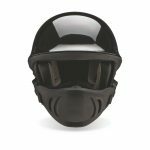 The shields eliminate the need for motorcycle riders to carry two shields. 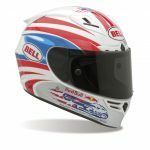 “By partnering with Transitions Optical, we’ve been able to offer our sponsored riders something no other helmet manufacturer can – combining the adaptive faceshield with a Bell Helmet provides an unparalleled visual advantage on the track,” said Chris Sackett, business manager, Bell Powersports.